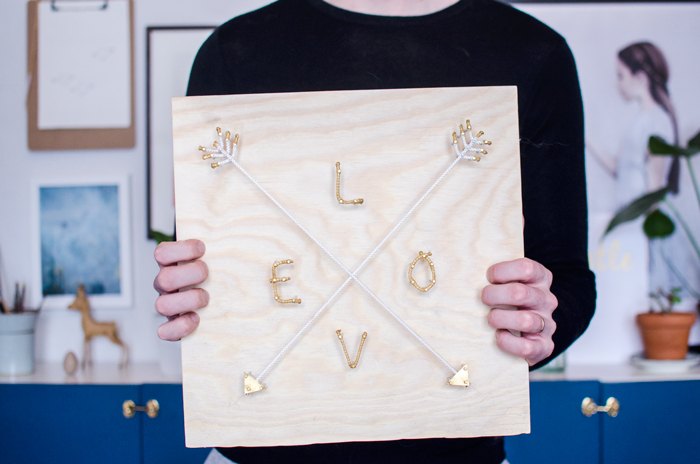 Wood is a great material to craft, and as Valentine’s Day is approaching, it’s high time to think what to make for it. 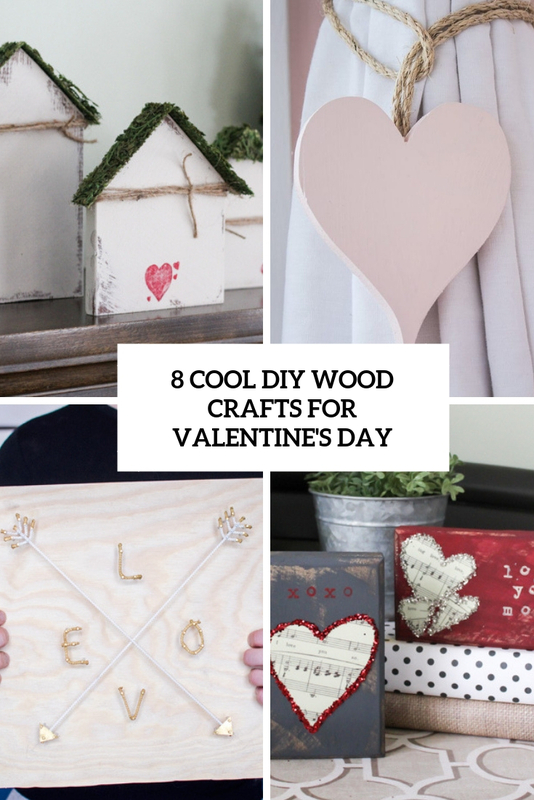 Here are some cool wood crafts for this romantic holiday, most of them for Valentine’s Day decor, take a look! 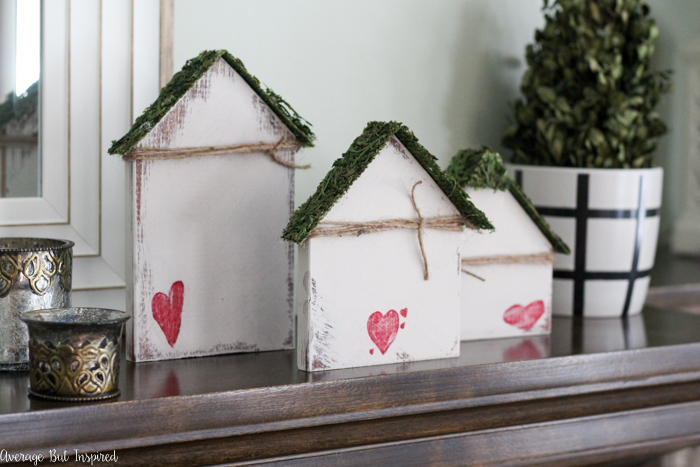 These little houses with hearts are amazing not only for Valentine’s Day, they can be made all the year round to show where your heart is. These little moss sheets, combined with scrap wood left over from my IKEA Rast Bar Cart Hack, made for one cute project! These cute houses are amazing for home decor and they’ll be a cool surprise for your love. Decorate your home with these cute heart curtain ties. What I like the most is that tender blush color – it looks so contrasting with twine and wood used for the craft. 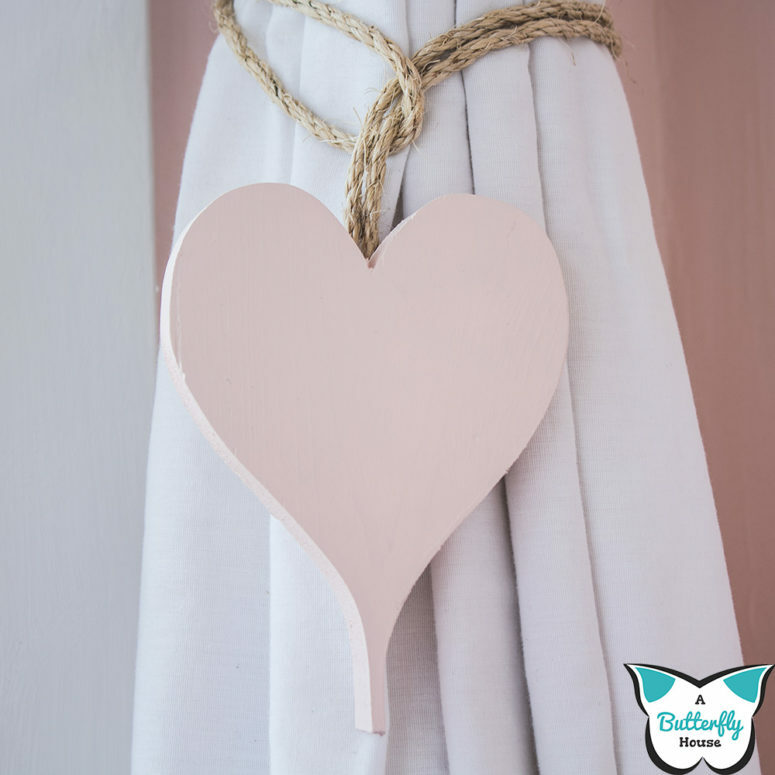 Make these simple wooden hearts and paint them in this soothing and romantic color, add twine and accessorize your curtains to give them a holiday feel. 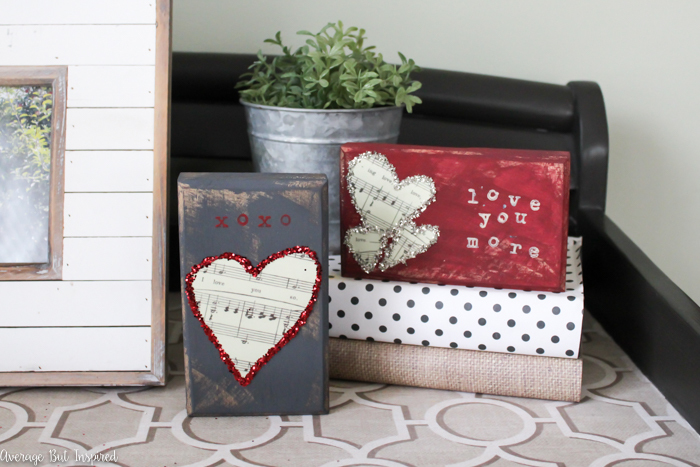 This is a quick and adorable Valentine’s Day craft that you can make for your home or to give away as a sweet gift. 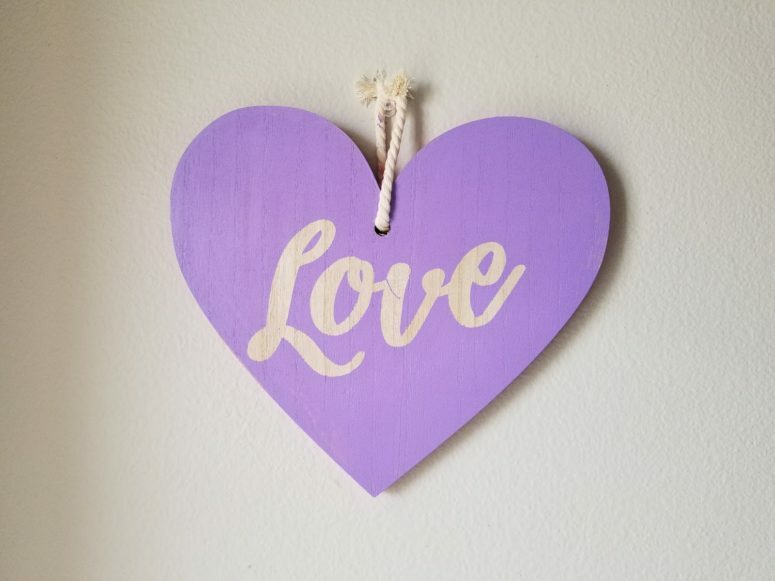 These easy DIY scrap wood Valentines are a great way to use up any wood scraps you have stashed, or are very inexpensive to make with craft wood from the store! Plus, you can customize this project to match your own personal taste, so you don’t have to make yours quite as “rustic” as here! Raise your hand if you’re scrambling to get ready for Valentine’s Day! If you don’t have much time to craft something for this holiday but still want something, here’s a great last minute craft. This is the fastest and easiest Valentine for your partner you can ever imagine. It will take you 30 seconds max or even less and your partner will be pleased. Get his or her clothes hangers and start! What’s a vinyl stencil? Well, it is pretty simple. It is just like a regular stencil, however, it is sticky. So it will stick to the surface of whatever you’re going to paint or decorate. Such a piece is a great idea for Valentine’s Day decor, and you can make as many hearts using these stickers as you want. Read how to make these signs and decorations easily and fast. I love this amazing modern Valentine’s Day sign! It’s a new string art piece for the holiday and it looks amazing! The sign is made of a piece of wood and some yarn attached, the ends of yarn are gilded, so the sign looks very eye-catchy and bright. Read how to make it and go! Make a cool banner for Valentine’s Day! 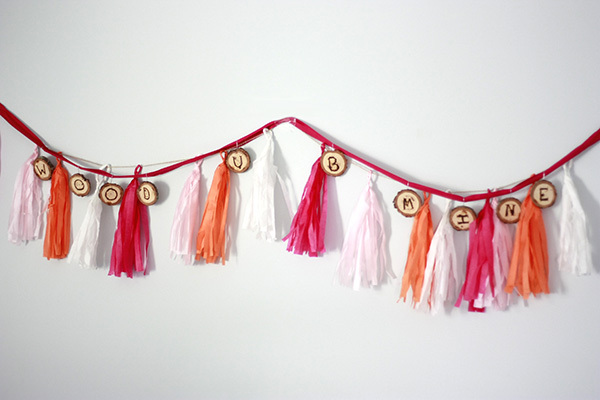 This banner is made of wood slices that are burnt and some colorful tassels. This cool decoration will give your home holiday vibes at once and it’s very easy to make. Read how to make it and enjoy! 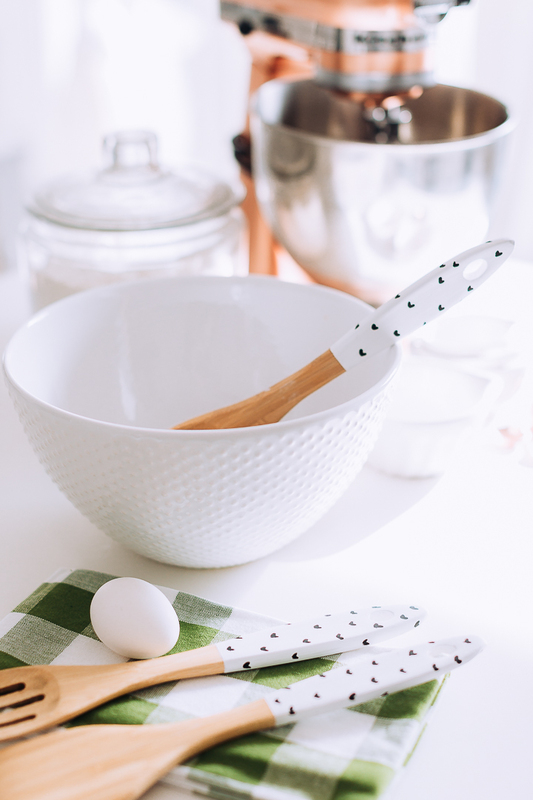 Spruce up wooden spoons for Valentine’s Day! Add a colored touch and dainty little hearts to them to make them more holiday-like. These are safe to wash by hand and non-toxic at all, they can also become a cute Valentine’s day gift. They would be so cute packed up in a little gift box along with some other kitchen goodies.